Tours in Nepal is visiting around historical palace, natural beauty point and place graceful temples, elegant palaces, brick paved courtyards and quaint streets, cultural sports, festival parts. Sightseeing in Nepal, we have several sports for tourist attraction short or long time to explore. Nepal has several ancient pilgrimage sites. Some well-known pilgrimage sites are: Barah Chhetra, Halesi Mahadev, Janakpur, Pathibhara, Tengboche, Junbesi Monastery, Manakaman Temple, Gorkha palace, Kalika temple, Lumbini birth place of Lord Buddha, Muktinath, Gosainkunda, Tansen and Kathmandu Valley in Central Nepal; and Swargadwari, Khaptad Ashram in West Nepal. 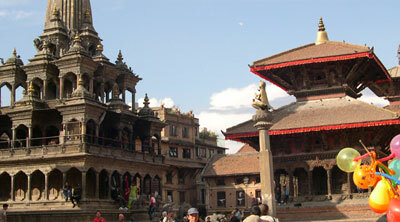 Kathmandu Valley has three sisters cities call Kathmandu, Patan (Lalitpur) and Bhaktapur. Each city has 17th centaury old Durbar Squires. 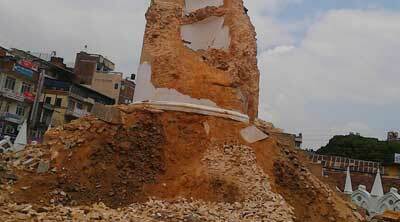 Those all are resisted in world heritage site. Kathmandu is home of the famous Pashupatinath Temple, Swayambhunath Stupa, Bouddhanath Stupa and several other famous temples. 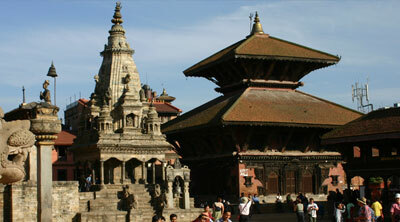 Hundreds of famous temples are located in and around the Kathmandu Valley. Each temple is attached to a legend or belief that glorifies the miraculous powers of deity. Pokhara is the tourist paradise city in Nepal. 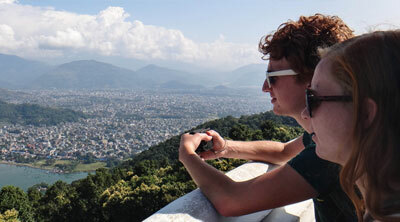 More than 90 percent tourist visited Pokhara each year. It offers the magnificent views of Dhaulagiri, Manaslu, Machhapuchhare (fishtail), five peaks of Annapurna Himalayas and others peaks. Pokhara numerous Lakes known as "Tal" in Nepal offer fishing, boating and swimming, that ensure the famous Phewa, Begnas and Rupa Lakes of Pokhara. It is also referred as the center of adventure. It is the starting point for almost of the popular trekking & rafting destination. Some of the famous historical place calls Lumbini, Nagarkot, Nuwakot, Dhudhikhel, Tansen, Gorkha, Daman, Kaski, Barpak, Bandipur, Gadimai, Janakpur, Ilam, Humla, Simikot, etc.Nepal is also the entry point to Kailas Mansarovar, the mythical abode of Lord Shiva. Devotees from various parts of Nepal and India visit the temples during special festivals through Nepal. Even though weak infrastructure renders some places hard to reach, efforts are being made at national level to develop and promote some popular sites. 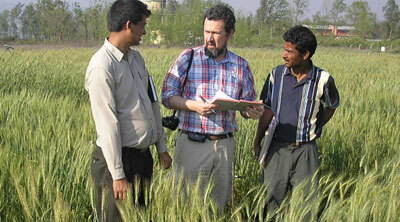 Asian Hiking Team organizes Tours, historical Tours, cultural tours, sightseeing tour in Nepal. Kathmandu historical tour, Lumbini cultural tour, Pokhara natural tour, Kailash pilgrims tour, Gorkha historical palace, Manakamana tour, Janakpur tour, Ilam tea garden tour, Bandipur culture tour, Daman view tour, home stay tour, Barpar historical, Sikkles home stay, Patan Bhaktapur sightseeing tour as your interest and time frame with affordable price.